D. R. is using Smore newsletters to spread the word online. Spelling City Offer ESD113 Only! 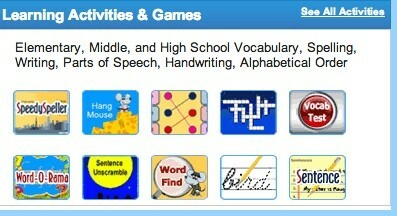 Many of our teachers already use Spelling City.com for several of the free features. Additionally many classroom teachers pay $49 a year for their classroom's access to Spelling City. We can save you 25% on these prices by funneling all orders through the ESD113 Media Resources Center once a month. You may renew or begin your premium membership for 25% less by contacting Jeff or Lynne at 360-464-6781, or e-mail. MANY Teachers Already Use Spelling City for Vocabulary Development Because of the customization features. Call or e-mail for a training time and you will participate in a free webinar as part of your membership renewal or subscription offer through ESD113. One time every month we will submit your requests to Spelling City. Your PO will be made to ESD113 for $1.55 per student. That represents a 25% savings from the street price and the per classroom costs. Renewing? That is covered as well with this 25% savings. You may work with Jeff Krasch or Lynne Forbush on your student lists.